Jeff Bezos will remain the largest shareholder of the e-commerce giant valued at almost $900 billion. In Bezos split, a question about who gets the couple's Amazon.com stock? Amazon CEO Jeff Bezos will retain 75 per cent of his stock in the company following his divorce from MacKenzie Bezos, to whom he has been married for 25 years, the couple announced Thursday on Twitter. Bezos will remain the largest shareholder of the e-commerce giant valued at almost $900 billion as well as gaining voting control of his former wife’s remaining shares. Bezos will also maintain ownership of The Washington Post and his space exploration company Blue Origin. 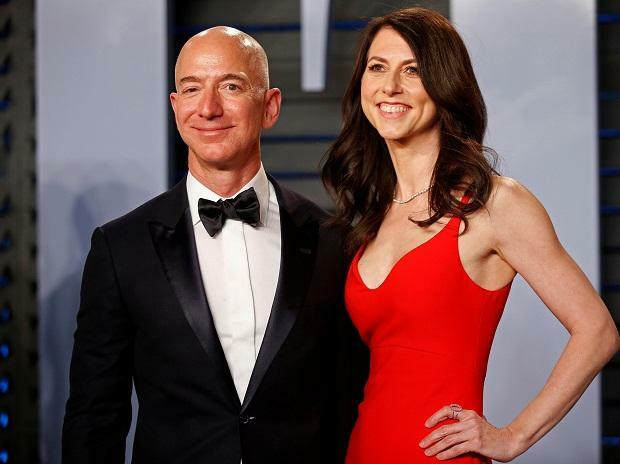 “Grateful to have finished the process of dissolving my marriage with Jeff with support from each other and everyone who reach out to us in kindness,” MacKenzie Bezos wrote on Twitter. MacKenzie Bezos retains 4 per cent of Amazon, according to a filing Thursday. The Bezoses announced their divorce in January, hours before the National Enquirer tabloid newspaper began tweeting that it planned to publish an expose that Jeff Bezos had been having a relationship with Lauren Sanchez, a former TV anchor. The announcement sparked speculation about how their exceptional wealth, estimated at more than $130 billion, would be divided. Jeff Bezos is the world’s richest person and will remain in that position after the divorce, according to the Bloomberg Billionaires Index. Jeff and MacKenzie Bezos met in New York at D.E. Shaw. Jeff was the first person to interview MacKenzie for a role at the hedge fund and the pair ended up having offices next to each other, according to a 2013 interview with Vogue. They married in 1993 and a year later drove across the country to Seattle, where Jeff founded Amazon. They have four children. MacKenzie, an author, played a significant role at the company in the early years, but her presence faded in later years. Most high-ranking employees saw her at social events the couple hosted at their Medina, Washington, home and elsewhere. They’d also be spotted at Lakeside, a Seattle private school, with their children. When Amazon showcased its new biospheres, the plant-filled architectural centerpiece of its Seattle headquarters, the couple toured the building with a horticulturist. MacKenzie also accompanied her husband to Hollywood events after Amazon began a concerted push into video and original programming.